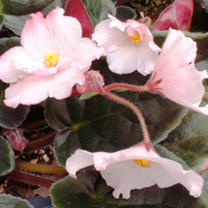 Pale pink with darker pink shading on flowers. Standard trailing variety. Flowers January-December. Height 11-20cm. GP - Greenhouse perennial.